When talking about equestrian activities of all kinds, it is normal to speak of the saddle. It is an essential tool for the proper execution of the exercise. Its quality will have to be at the right level for each exercise is level. It is in this concept that antares saddles conceptualized his stool to go with each type of client and horse. In 2000, 2 km from Saintes stud Antares saddles born. The five company founders wanted to conceptualize each rider a unique saddle numbered and fully customized. This is to go for both the rider and the horse. The Antares saddles combine technical qualities specially designed for the constraints in each of equestrian disciplines, total comfort for the horse and rider for its specific adaptation Does a custom finish at the choice of each client. Riders from around the world, both professional and amateur use this brand. After all these years, Antares saddles managed to hoist his saddle exceptional among the most popular designs and now has three sales subsidiaries that are located in the United States, Canada and Switzerland. In 2006 the company decided to add the custom headset to its offer which always will combine comfort, security and personalization. It will also note that all brand products are made based on leather. Antares Sellier team all riders, regardless of the equestrian discipline. The brand brings together forty highly qualified workers in his workshop in Saintes, 75 kilometers from La Rochelle. She has always dedicated to serve the people some of whom are champions as the 2006 winners and 2010 World Equestrian Games. 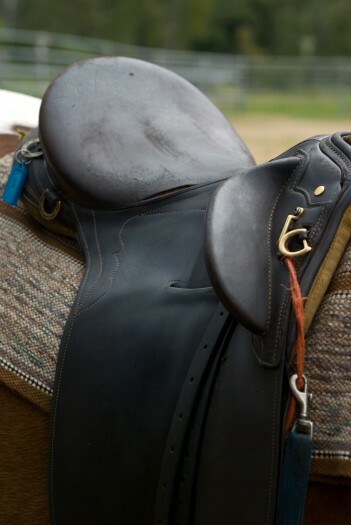 Antares saddles saddles are produced one by one by hand ensuring the quality. The manufacturing process is slow and meticulous and workers, mostly from the upper garment, are trained in-house in which they acquired the thoroughness and sense of beauty. Regarding the price, not equipped, Antares saddle costs from 3500 euros between 4500 and 5000 euros with the equipment.